Passed by almost everyone on their visit to the Grand Canyon, without nary a thought, is the lonely Red Butte. 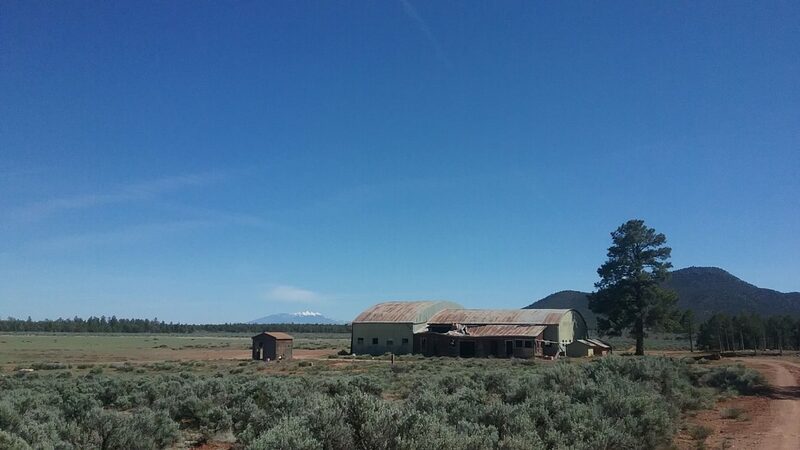 Offset from its base, in a green Arizona meadow, lies a secret of the past. 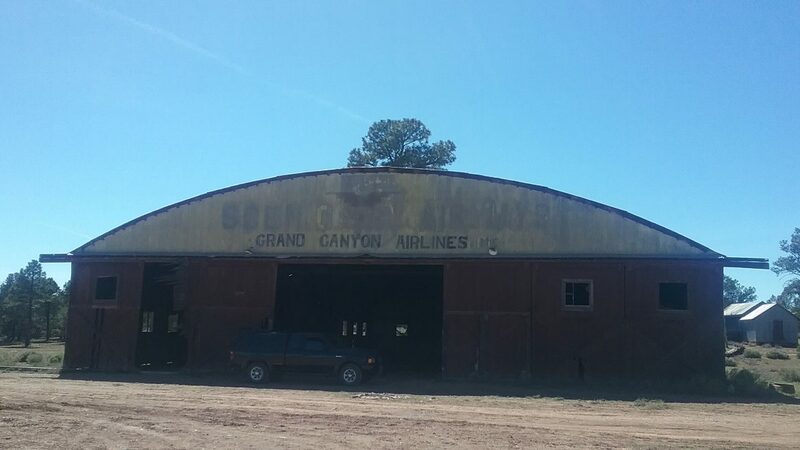 The old original airport to the Grand Canyon. Now nothing but a hanger, a bungalow, a cabin, a few various ‘pieces’ of buildings, and a verdant meadow where the airstrip used to be, remain. 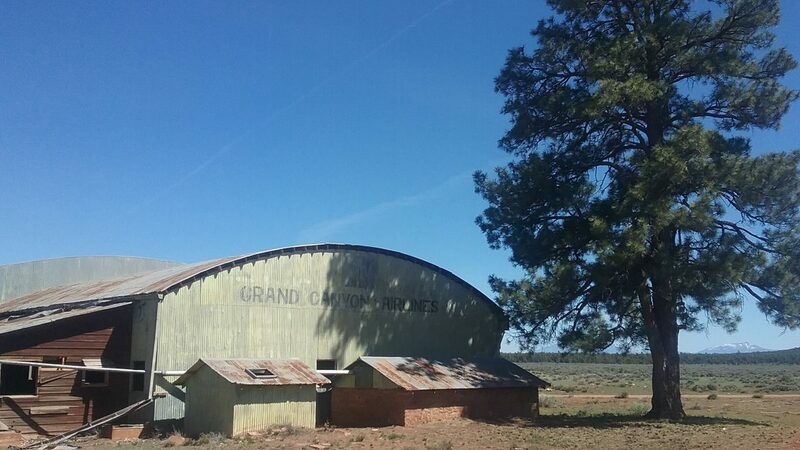 Despite being in a slight depression on the Colorado Plateau, it boasts great views of the San Francisco Peaks laying to the South, and the Red Butte formation in the same direction. 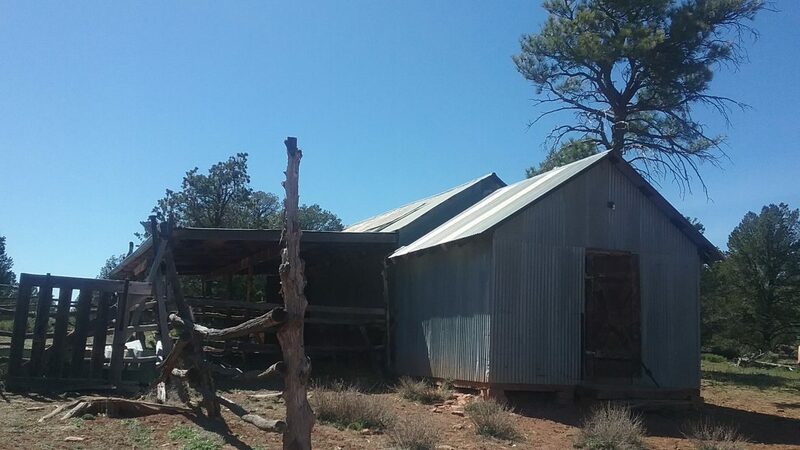 Cast additionally along the route to and around the old air field, are various dispersed camping sites in the Kaibab National Forest. These are free sites without formal facilities. There are only a few, on the direct way out to the airfield, no more than five. It is a unique location with a historic authenticity and uncrowded feel that hardly any of the the Canyon’s surroundings offers anymore. 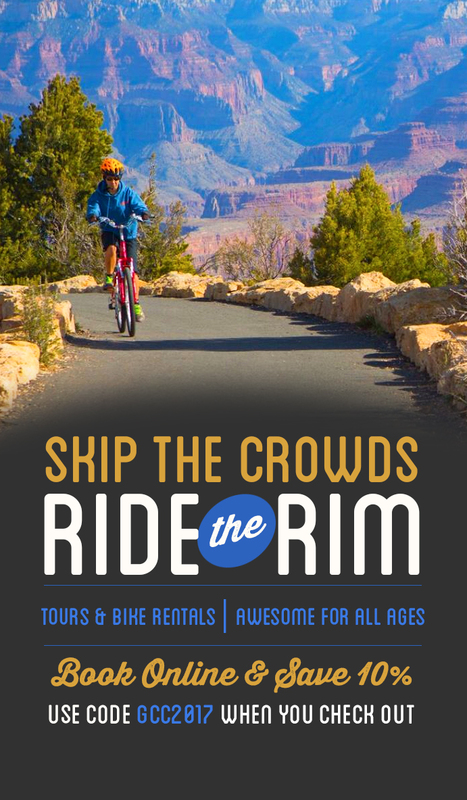 These sites are approximately a 30 minute drive from the Grand Canyon Park gates. Getting there is of great simplicity, as you will see a large uplifted formation on your right as you drive up 64 towards the Canyon. The road leaving 64 is a graded dirt road that is navigable by most vehicles, sedans included, so long as recent weather permits. I wouldn’t try to take the road after a large rain storm, as it could turn to more mud than the experience is worth. Some of the off shoot roads are significantly rougher however. All being well, it is a straight shot to the airfield, with naught a turn, and its entrance marked by a rope “gate” lined with cloth. Please close the gate behind you, and respect the area and its structures, so that others after you may enjoy it untrammeled. Though if traveling without a GPS, the turn is the next right after the Red Butte formation, then keep straight until you reach the rope gate. Editors note: This would make a fantastic photoshoot location if you have adventurous subjects looking for a unique backdrop!